is Committed to giving its customers quality roller shutters for the best price. We are a leading supplier of manual and electronic roller shutters, window roller shutters, external shutters. Once installed, your new security shutters will immediately give you peace of mind and a higher level of protection. We also offer Security Shutters Hoppers Crossing, Security Roller Shutters Werribee and Window shutters Caroline Springs services. The manual window roller shutters can be closed with minimal effort. They come with a solento winder and a metal cable made of stainless steel. We help our customers choose roller shutters that reflect their home’s styling. We have a large range of colours and materials from which the customers can make their choice. 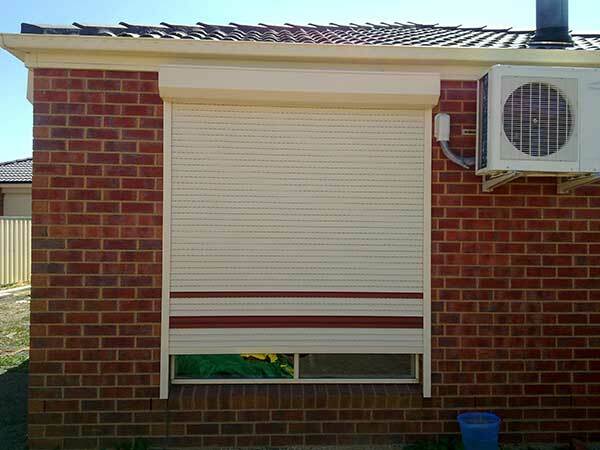 We also make custom rollers shutters in Altona according to the client’s specifications. The locks on the security shutters can also be changed to offer you more ease. Many people prefer electronic roller shutters that can be easily managed with a remote control. These modern window shutters in Altona provide a higher level of security than manual shutters. So no more getting up to close the shutters…just do it with just the single press of a button. Enjoy your day at home or at the office without the nuisance of extreme temperatures. Larf Window Roller Shutters introduces new window shutters in Altona called “Solar Powered Roller Shutters”. These shutters are very advanced in technology and are becoming a popular choice for our customers in the Altona area. The solar powered roller shutters are based on a system that does not need traditional electricity sources; they work by harnessing the sun’s energy. This works when the solar panels that are located in the shutter pelmet absorb the sun’s energy. The solar panels charge the battery, which supplies power to the DC motor. The solar powered roller shutters are equipped with the latest electronic technology to keep the battery charged and can be controlled with a remote control. We also offer Window Shutters Caroline Springs service. This makes our roller shutters in Altona the most advanced window shutters. We provide you with an easier, cost effective and environmentally safe window roller shutter, which you can operate easily.